Hey! Today I am guest posting right over here :) I'm talking all about my etsy shop, Framed, where I make all these signs and I may or may not be offering a discount code! I made this map this weekend & it's the biggest map I've made yet! It's shipping out to California today so let's all hope I can get it to fit in my car to take to Fedex haha. This weekend I spent all day in the sign room (per usual) and on Sunday I got to watch my niece and nephew allllllll day! They took shifts not sleeping last night so that was cool. Needless to say I'm super tired (ps I can hear all you mamas laughing at me and my rookie child caring experience ;) ) Be sure to check out my guest post and show Ashley some love! LOVE that sign! I'm heading over the "meet" Ashley now and can't wait to again try and decide which sign I want. Ha ha! Saw the guest post, and loved it so much!!! Awh thank you for reading it, Svetlana!! I love that giant sign and I also love your camo pants (or leggings or whatever)! I want this so bad. Hopefully it doesn't break!! Every time we move, half our sh*t breaks..so basically the moment we settle down somewhere for good I am begging John to buy me this haha. haha I know! I'm kinda nervous it could get handled poorly when it's shipped, luckily I bubble wrapped the crap out of it! Girl you know I'd love to make one for you someday!! Thank you!! haha oh man it was a pretty penny to ship! Luckily the buyer was fine with the shipping price. It weighs like 16 pounds!! So cool! You've got some major talent! WOW! What a gorgeous piece of art! You are awesome! I am going to check out your shop now. I need a lovely picture to go above my bed. Thank you Natalie!! Let me know if you'd like anything & I can get you a coupon! Yay for instagram!! I'll need to find you! Love your guest post! Gorgeous art! Interesting post on MissGrey.ro, you wil love this blog! 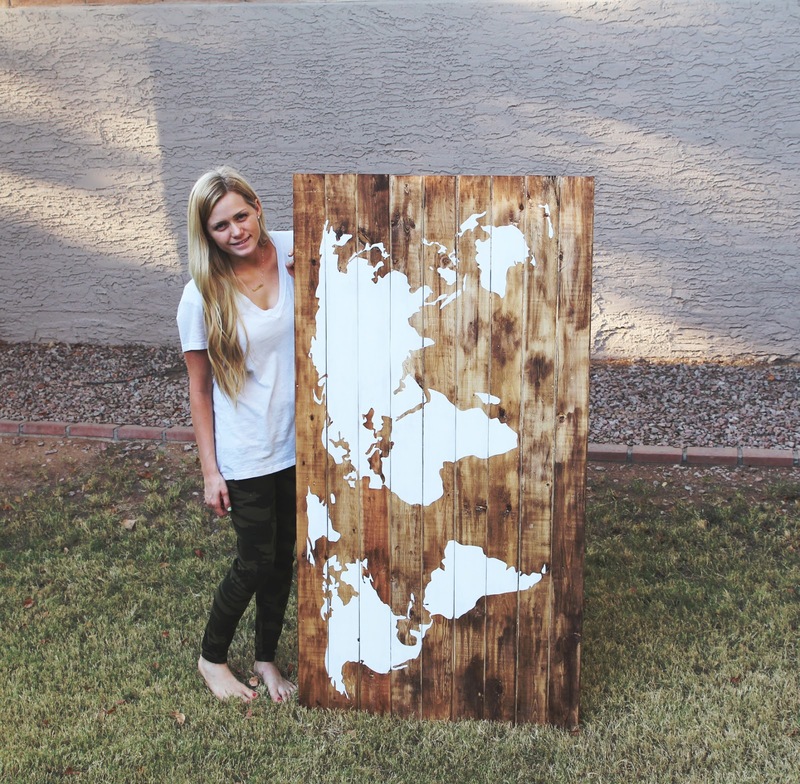 That is SO gorgeous--- I just bought a wooden rustic cut out of the US that was distressed /painted mint at the SLC farmers market and I am pretty obsessed with it! Have to check out your shop! Thank you!! Oooo that sounds so cute!! I love wood cut outs :) Thanks Kaite!